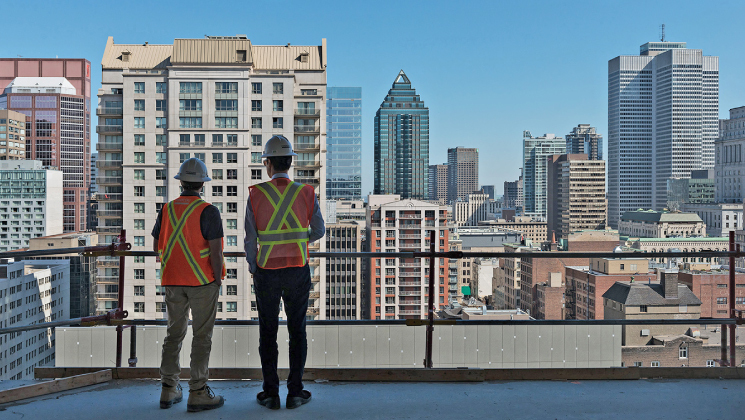 The push for COR certification has construction companies across Canada paying extra attention to their safety culture. Many construction companies have learned that what was acceptable in the past is no longer good enough to get the jobs they once had. Contracts with government and even large general contractors are on the line. While companies are feeling the urgency to invest in improvements to their safety culture before it’s too late, their challenge is prioritizing safety initiatives to get the highest return on their investment. High Participation Culture: Leadership extends beyond the safety department. It’s exhibited by all employees, with a high velocity of activity. All employees seek out risk and work proactively to eliminate it. The study found that the top safety teams empower their frontline supervisors and foremen to perform key safety tasks like inspections, hazard reporting and toolbox talks, leaving safety teams to focus on triaging risk and executing on risk reduction activities. As a result, companies in the top quartile of employee safety participation reduced incident rates by more than 3.5 times their low participation peers. Yet while all construction safety leaders agree that their end-goal is a High Participation Culture, many companies get stuck on this journey. Safety Velocity: The organization scales activities. The safety team analyzes areas of high-risk and their time is prioritized to reduce risk at a high velocity. Companies typically flag several roadblocks along this path, the most common being Safety Reflex. Imagine this scenario: the CEO of a construction company announces that safety is now their number one priority. They hire a great safety leader who is able to get employee buy-in to implement a new system to report hazards. Now, let’s say a labourer at this company notices damaged equipment. He reports this hazard to his supervisor. One of two things can happen from here: the unsafe equipment gets fixed in a timely fashion; or it doesn’t. If the equipment gets fixed right away and the safety team communicates their praise to the labourer for participating, he is empowered to do it a second and third time. He sees the time he’s committing is actually benefiting him. He will tell coworkers about it, increasing the likelihood that others will identify and report on risk. Conversely, if nobody follows up with him and the equipment remains broken for a few days, the employee loses faith that his activities will lead to a positive outcome. He will stop taking time out of his day for the new hazard reporting initiative. He is also likely to tell his coworkers about his negative experience. “Safety is just a tagline. Management doesn’t actually care about our safety.” This renders all the previous change management work obsolete. This mentality can spread like a virus, poisoning your safety culture. Let’s take another look at the scenario with the damaged equipment. Why didn’t it get fixed? It is doubtful that management was lazy, forgetful, or negligent. It is more likely they weren’t prepared to deal with the sudden influx of safety-related work. The challenge in Safety Reflex is the safety team might have previously received only one hazard report per week, but they’re now receiving 10 per day. The safety leaders will get stuck with a pile of paperwork on their desk, stalling their drive for a high participation safety culture if they don’t have a system to get information from the labourer to themselves in a timely manner, or a process to triage the risk, communicate back to the front-line and execute on risk reduction activities. Safety Reflex is one of the most crucial parts of building a High Participation Safety Culture. The simple act of a manager responding to an employee is as important as any training program, slogan, or safety leader. This doesn’t happen overnight. Some of the companies studied systematically rolled out their new safety initiatives in a narrow group, like one department or job site at a time. They implemented it, found the bugs, made the fixes, and learned how to roll things out more effectively across the entire company. But don’t be naïve or complacent; these efforts can be undone at any point, if employees start to believe their actions and efforts are being ignored by management. There is no doubt that building a High Participation Safety Culture requires a company-wide shift. The frontline needs to be actively engaged, management needs the ability to send timely responses to the frontline, and safety leaders need the appropriate tools and systems for that communication to take place. The good news is that it’s easier than you think if you have the right strategy, leadership and tools to succeed. If any of those things are lagging behind, you might find yourself stuck and unable to improve safety. Josh Lebrun is president and COO of eCompliance, a software developer focused on worker safety.